Heaven. End of review…… This is one of my all-time favorite Scotch whiskys. I had this a couple of years back, or so, at an event in Vegas. The Balvenie reps had rounded up all the 17 year releases and we did a tasting of them all. This was, and is, my favorite. I was fortunate enough to have a collector round this bottle up for me in an auction in the UK. Yes, I paid a few bucks for this one. So I’ve been waiting for an occasion to open this and I finally thought, well, I’ve been to Islay so now I should open this. Basic reasoning really. So I did, and oh, it’s just as good as I remember it. 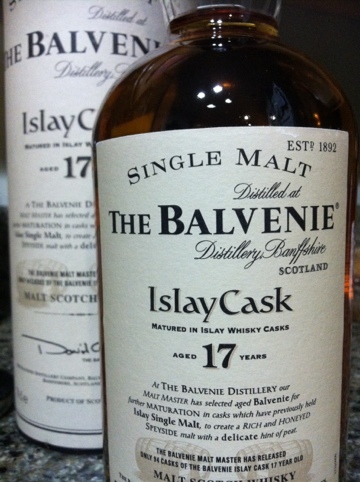 So if you are familiar with the 17 year aged line of Balvenie you may actually have never seen this one. You probably have seen the Peated Cask which replaced this original. This bottle inspired the peated cask but the peated cask is no Islay cask, no sir. This lovely Balvenie classic spirit was finished up in a Laphroiag cask. Affectionately known as “lafrog,” the very essence of Laphroiag is a strong punch of the sea and earth on your palate. What is great about the Balvenie honeyed spirit slipping into that barrel for a spin is the sweet peat finish takes on a gentlemanly charm and drops the t-shirt for the tails in this bottle. I’d go on and on about how it tastes, but, chances are you have had this, have it but not have opened it, or will never have the opportunity. Pity. Signature, it’s quite a personal thing. Well, prior to email I guess. The Balvenie is a very crafty company, they control the whole process of making scotch whisky from the growing of the barley to the bottling of the final product. They are quite old-fashioned in their ways and I guess it is fitting that they would use the word “signature” on a product. I’m actually surprised that they didn’t have some of their staff engrave the script onto the bottles. I do love their whole presentation though, it’s the very definition of classic. So the Signature today is the batch #5 that I was just thrilled to find this past weekend. I was on the hunt for obscure and cheaper whisky’s but when I saw this I could not resist. I had the batch #4 and I think I had #3, can’t really remember though. So this batch reminds me why I love the whole signature project and how much I really enjoyed the three cask process. A quick check of the Balvenie site doesn’t show it being a part of the range so I’m not sure if this is the last batch. It was about $50 in the store I found it. So the particulars of this product. Well, it is unmistakably a Balvenie. It is self-described as honey & spiced, and that is quite perfect. 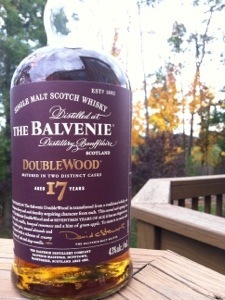 As opposed to the Doublewood this whisky has considerable spice along with the honey Balvenie is known for. At 43% ABV this whisky actually carried quite a punch. I wouldn’t call this a lighter offering and is certainly more punchy than the standard Doublewood. 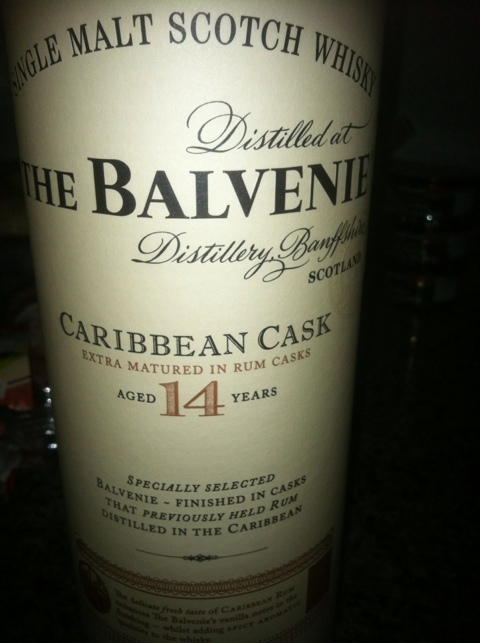 If you like single malts, and especially a lover of all things Balvenie I think you will enjoy this one also! Oh yes! Stopped into the Virginia ABC store today and while trolling through the scotch aisle I came upon the new release from Balvenie. 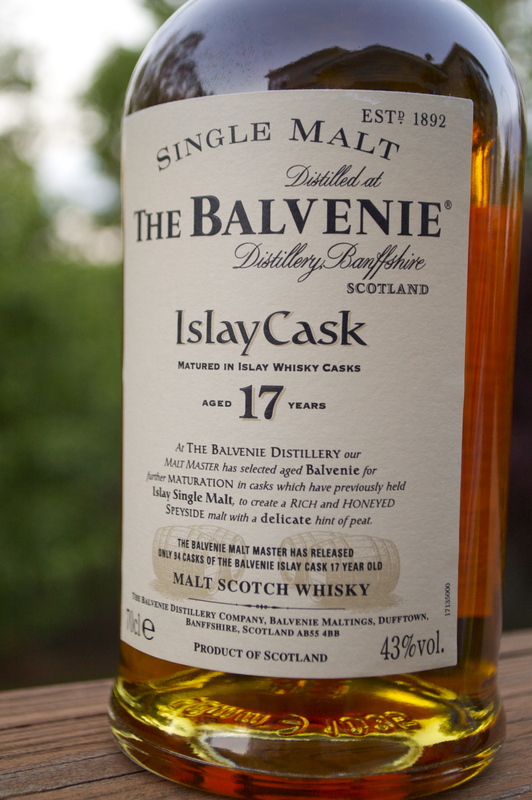 Balvenie experienced great success with their 17 year line that has been released over the past few years and now they have complimented it by taking their usual Doublewood whisky and brought it to a mature level of 17 years. The entry or as i like to call it “gateway” to The Balvenie line of scotch is the Doublewood and it is a fabulous scotch. The regular Doublewood can be had for around $50 U.S. and the 17 year comes in north of $120. I wasn’t planning on finding this and was very happy and thought this would make a great dram to review since I have basically been on hiatus for several months now. It is fall in the D.C. area and the beautiful colors of fall are starting to emerge. This 17 year’s color is right on time! It’s appearance is a beautiful amber that matches the hardwoods in my backyard. It looks like it has some beautiful coloring in it that can only come from time in the right casks. The nose is candy like and leads me to think this is going to be a very warm and smooth whisky. The ABV count is 43% and there is no alcohol kick as I stick my nose firmly into the Glencairn glass. It tastes like butter. I love butter! And it tastes just like it smells. It is warm, not hot. It coats the tongue evenly and and is very well rounded. It does not burn. You can leave it in your mouth for many seconds and just enjoy the dram. The finish is polite, and it is simply a home run! It is a very easy drinking scotch, almost too easy. Some may be wishing for a higher ABV but this is simply a civilized scotch that would feel at home in a ballroom or your living room. What you get is a much deeper and mature experience that you would not get from the regular Doublewood offering. Be warned, this drinks really easy. I did not add any water to this, as I do not to any Balvenie product. It is a bit pricy, especially in these times so if you can find a friend who enjoys whisky team up and go find this offering. At the end of this year I thought it would be a good time to figure out which products I enjoyed most this year. One of the reasons I started a blog was to chronicle what I was drinking or smoking so that I could reference it later. The problem is I haven’t been able to faithfully chronicle everything. I’d say I’ve missed 25% of what I’ve enjoyed, some of it made it at least to my twitter account @theScotchlife but I would say it caught 98% and it is very hard to read through 1K+ tweets! So, picking a top 3 of a product to me is very difficult and I would preface this with this may not be the best products by themselves but are elevated by association of an event, or their value. In the area of Scotch it is quite easy because I spent a weekend in Vegas sampling an array of 40 year plus aged scotch offerings from The Macallan, Bowmore, Dalmore, Glenfarclas, etc…. 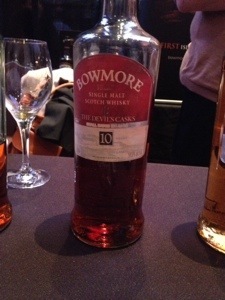 and the most memorable dram I had was the Bowmore from 1969. Having a dram that is equal in age to ones self is memorable and immensely reflective. It’s hard to figuratively characterize life in a drink, but with that Bowmore from my birth-year, I think it comes awfully close. There is something very special with super-premium aged scotch, it isn’t like your every day scotch, and your life should be as good as it! So, the #1 is the 1969 Bowmore. I believe it went on sale this year in the U.S., six bottles total if memory serves me correct for around 14K a bottle? #2 scotch whisky of my year goes to Ardbeg. 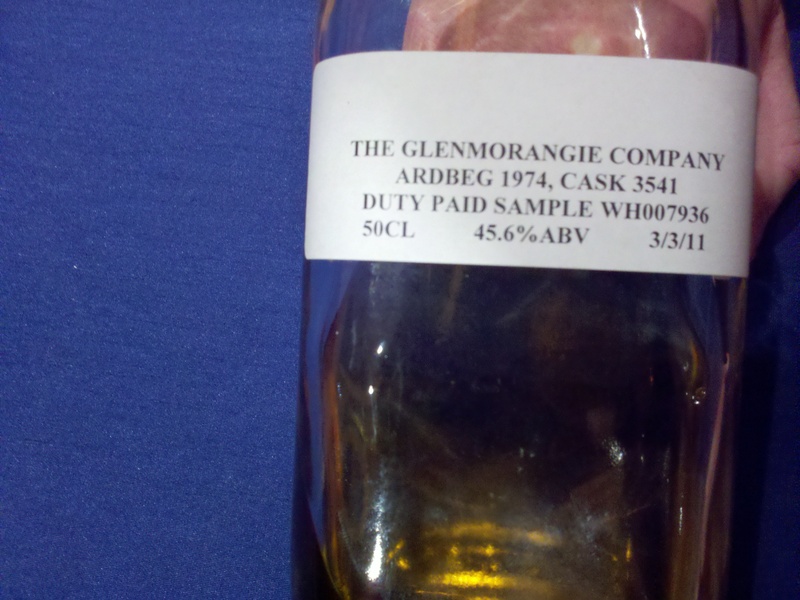 Yes, I also had this tasty sample from 1974 at the very same Nth show in Vegas and to have an Ardbeg these days from that era is very special. I do enjoy the regular Ardbeg line as well and have Corryvreckan and Uigeadail in-house currently. The ’74 is quite different though, and superior to the current range. #3 In order to give credit to something that isn’t in the $10K range I would like to give credit to The Balvenie 17 year range of scotch. I have spent some time in acquiring the line, it is difficult since most of it is out of production. 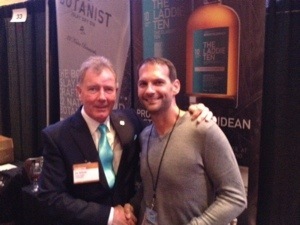 My biggest prize came by a friend snagging a bottle of the original Islay Cask in an auction in the UK. This has been replaced by the Peated cask which is good but not as good as the original Islay cask. I would also comment on the rest of the Balvenie line that is available currently, I simply think it is a crowd pleaser from the Doublewood to the Portwood. You just can’t go wrong unless you demand higher alcohol content. I think the flavors should more than make up for it though. In the cigar category I think it is even harder! There are so many good cigars out there and the availability of super-aged premiums like scotch are not as readily available to me. On top of it, I’m finding price really does not always mean quality in the cigar world. In fact, the only expensive cigar I’m going to site is the Diamond Crown cigar. 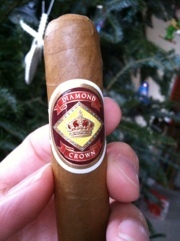 #1 cigar of the year, yes, the Diamond Crown. This is a super-premium cigar and was made to be a cut above the norm. This is typically a $20 cigar so it is not very often I smoke one and there is usually a good reason why I do! You should treat yourself to one of these. 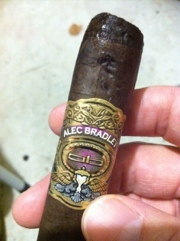 #2 cigar of the year is…… Alec Bradley’s Tempus (original). I really was taken by the smoothness of this cigar, its complexity and roundness, and price! Yes, this is a sub $10 smoke typically and it is so worth your time and money! It does smoke like a dream and AB seems to be on a roll. I had to mention this cigar because for the value its hard to beat, a good second or “like” this cigar would be a Brick House cigar. #3, is, well, this is hard, I have smoked probably no less than 300 different cigars this past year, and after a while, they all seem to cross over each other at some point. 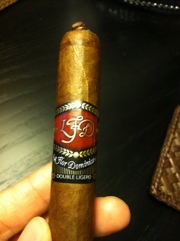 I am going to go back to a cigar I smoked a long time ago and wrote glowingly about it, the La Flor Dominicana “double ligero” line. I smoked a large gauge one and I have a thinner, Churchill especial version that I hope to smoke by the new year. This is a BIG smoke and you should enjoy this with a nice steak dinner or big pasta dinner. Just smelling this one is driving me crazy, the spice that comes off of it is really amazing. I can’t help but add a little “honorable mention” to Don Pepin Garcia’s blue label as well as Padilla’s Habano. These two I really thought of a lot while comparing cigars this year. As with any “top” list, there are always some that you wish could mention but I think most people realize that in scotch and cigars there are so many excellent offerings available these days. I think that you will enjoy these, if you haven’t already, and with the exception of the rare scotch offerings you should be able to find them. I am looking forward to another year and there are so many exciting products coming down the pike, I personally have several new cigars resting in the humidor that I have never tried and I am particularly excited about trying the new Nat Sherman lines. I picked up several cigars at the NYC Big Smoke last month and will be firing them up soon. As far as scotch, I am looking forward to the Balvenie release of TUN 1401 batch 3 in the U.S. and Ardbeg’s Alligator to finally crawl over the pond. 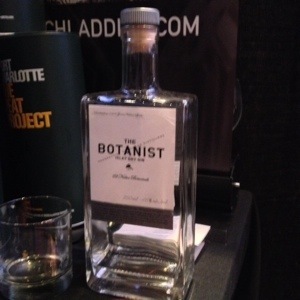 I’ve also heard some brand Ambassadors speak of new offerings coming out soon and I am planing on getting out to my local Virginia distilleries this year and explore their products. With any luck I will make it to a good whisky fest this year also. I hope this year has been a good one for you! As October ushered itself into Washington D.C. so did the fall-esque weather complete with 50f temperatures and cool rain. It was only fitting to have a Scotch tasting that was originally planned for outdoors at the Poste restaurant in the heart of the city. 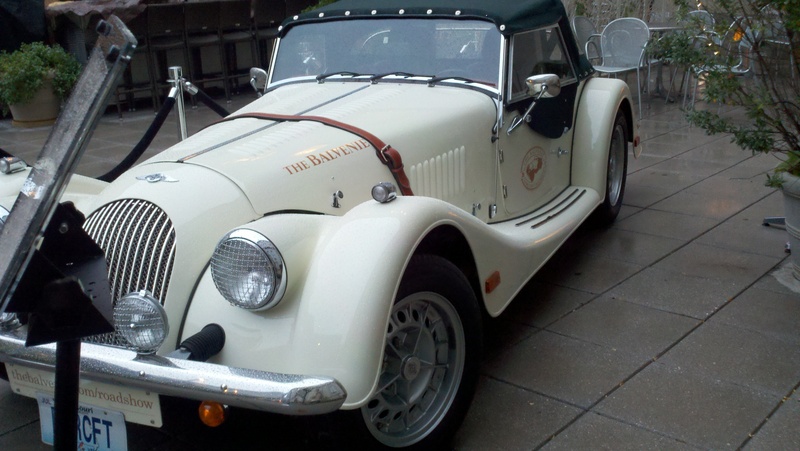 After arriving soon enough to see the Morgan off-loaded from the truck and driven through the portal which takes you to Poste, I was in no way deterred by the mist and was genuinely happy to see this fine hand-made car take its place in the outdoor dining area that it would have to ultimately spend alone. Due to the rain the tasting was moved inside to what equates to a bar/entry to the restaurant. The noise from the main dining area was an incredibly unwelcome obstacle for any speaker but everyone there tolerated it and though Andrew merely fakes a Scottish accent we could at least understand some of what he said. Just kidding Andrew. The drams that were to be had were Balvenie’s current offerings of Doublewood 12 year, Single Barrel 15 year, and Portwood 21 year. They are three very different offerings but all very Balvenie. The Doublewood is the perfect scotch to start drinking when you are just starting your journey into scotch. 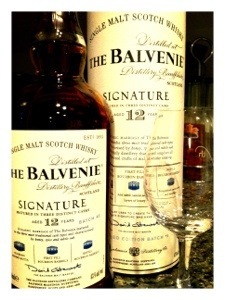 I believe Andrew called it the “gateway” scotch into Balvenie. I would call it the gateway into seriously good scotch! Reportedly this is one of David Stewart’s favorite products which says a lot for a Master of 50 years. The Doublewood has spent most of its life in an American Bourbon barrel and finished up in an European Sherry cask. It is a delightful dram and one I would consider a “go-to” scotch. The Single Cask 15 is a very different taste because it does carry the kick of a single cask. The ethanol alcohol level is a bit higher and if you like that you will like this offering. I really prefer this to the Doublewood because I do enjoy the kick. It is also different from Doublewood because it only matures in American Oak. No Sherry. So you are going to get more vanilla upfront whereas it is a bit hidden by the Sherry Oak in the Doublewood. The Portwood 21 is good. Period. It has won several awards and in my mind is a first-rate contender with anything on the market in the premium category. 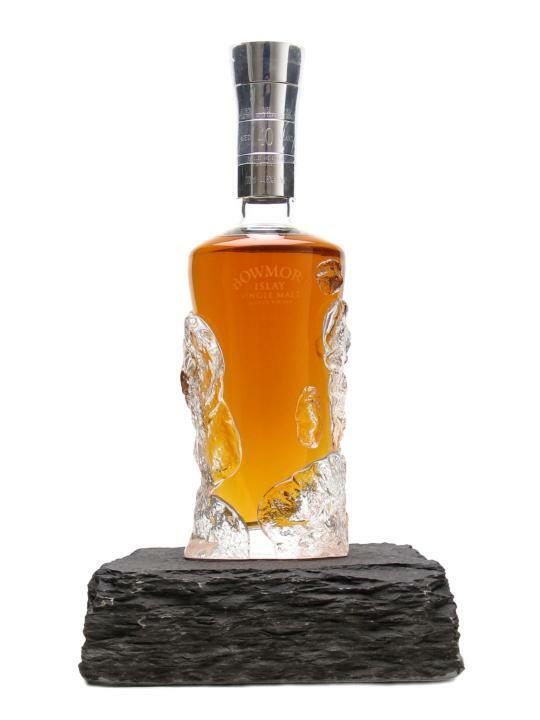 It has spent time in rare Port casks that impart a deliciousness that comes across as honeyed raisins. This is the scotch you have with the Duck and Creme Brûlée. It is a bit pricey but you should experience this scotch, it can be found by the dram in your better bars. The evening went well despite the din of the restaurant and aside from the whisky nerds (myself and one other gentleman) I believe some whisky novices were very pleased to have discovered this tasting. 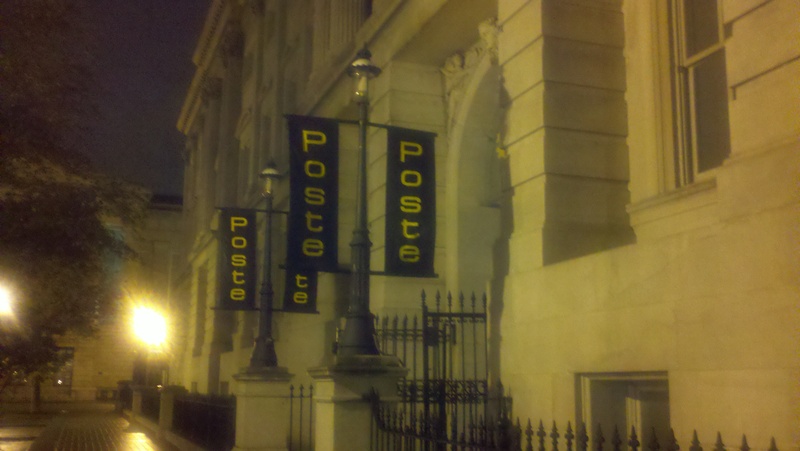 As an aside, the appetizers from Poste were extremely well prepared and after the tasting I did enjoy a grass-fed cheeseburger that was actually cooked the way I ordered it, medium. It was delightful! I have found that if a nice restaurant can produce a great burger then you can be assured their other offerings are great as well. If you were wondering if you should try this restaurant out I would encourage you to do so. They also have a great selection and variety in scotch. The evening was great and as Andrew was leaving he slipped me a gift. It really took me by surprise and was totally unexpected. Let’s just say it has something to do with a future offering and I will be tasting it this week. I have also embedded the video from Balvenie about the roadshow, it’s a great video and I hope you enjoy it, preferably with a Balvenie! I picked up this smoke at a local shop only because I’d heard people refer to it while sampling some Dalmore Cigar Malt in Vegas. I was curious to the flavor of it, I’m not a Montecristo regular, and how it would pair with a Dalmore whisky. Now I picked the #2 white label on the advise of the well-educated gentleman at the tobacco shop. He explained that the Ecuadorian Connecticut shade wrapper would give me a little bit more flavor, which I insist upon. I did not have dram in hand, that I remember, when smoking this cigar. What I do remember was that this was not a very powerful cigar. As I referred to an earlier article, this cigar is taken largely from the lower leafs on a plant, they are shielded from the sun and do not produce as much flavors as the leaves further up the plant. The cigar is marketed as a rich, creamy and flavorful, well-rounded smoke. I’ll go with creamy, flavorful, to an extent, but rich, not so much. I have a hard palate, I drink black coffee and I drink whisky neat. To me this cigar is a great golf cigar or a pre-dinner cigar. It doesn’t challenge my palate much and if I’m around friends just enjoying the conversation this cigar would be just fine. But as someone who is trying to awaken and challenge my palate, not so much. As far as pairing it with whisky, I would not choose a Dalmore. To me a Dalmore has way too much flavor to it, due to the excellent work of “The Nose” Richard Paterson, and I would think a Dalmore would overpower the Montecristo #2. I recently imbibed on some 12yr Dalmore and thought a medium to full cigar would be a better match. If you want guidance on a Dalmore, I recently smoked a Gurkha Regent Torpedo and I think it would be up to the task. To me, the #2 would be best suited with a great Speyside, non-peated, whisky. I’d like to try it with a Balvenie expression. One impression I do remember at full smoke was that a great, out of the oven yeast roll would be at home along side this cigar. It was the most exact pairing I could think of since that taste was coming through.